After a long flight and trek to a hotel, all you want to do is lay your head down and relax. The last thing you want to do is worry yourself with wondering about the dirtiest surfaces in hotel rooms — obviously. What you really want, is to trust that your hotel room is clean and that you're safe to touch whatever you please. Unfortunately, most of us are perhaps a bit too lax about our hotel room expectations. Dun, dun, dun! 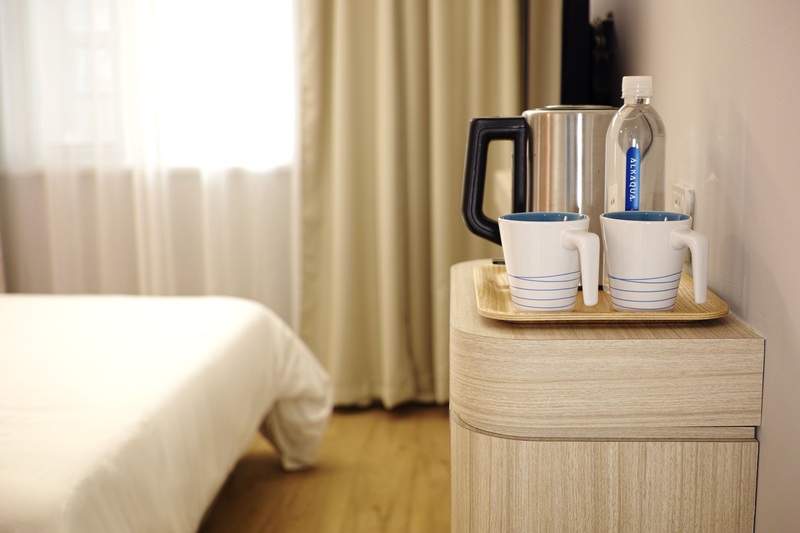 According to a study by TravelMath, a trip calculation company, hotels of all ratings struggle to keep their rooms germ-free. Get ready to get grossed-out. In their recent study of guest room contamination, TravelMath dispatched the EmLab P&K laboratory to swab multiple different surfaces in nine different hotels of different ratings. Then, cleanliness, or lack thereof, was measured in colony-forming units (CFUs) per square inch. The team was looking for bacteria that could potentially cause respiratory problems, gastrointestinal distress, or skin reactions. Fun, right?! If you take a look at the numbers, you'll notice something pretty wonky. According to the study, the three-star hotels had the fewest amount of germs, with eight times less germs on the hotel bathroom counter than a four-star hotel and three times less than a five-star hotel. Lesson learned: don't be fooled by the fancy amenities at a five-star hotel, there are probably germs crawling around on those fancy French soaps. OK, so what do we do with this gross information? Avoid hotels? Lose faith in humanity? Take a peroxide bath? According to TravelMath, a lot of the bacterial findings are considered fairly normal. Not that they can't be hurtful and not that we shouldn't be grossed out, but more that we should expect their presence and do what we can to keep ourselves healthy while we're traveling. For instance, the bathroom counter is clearly the biggest bacteria hot spot. So instead of assuming that the hotel staff cleaned if before your stay, take with you some Lysol wipes and give it a good cleaning before you use it. Same goes for the remote and the phone — if you're going to use them, wipe them down. That should be enough preparation to protect yourself.